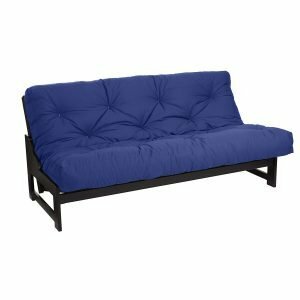 You may think futon mattresses are simply part of a trend, a romantic notion for the minimalists or a decorative feature. The truth? While those reasons do count, this type of mattress has been and will be popular for homeowners in many years to come because of other aspects too. 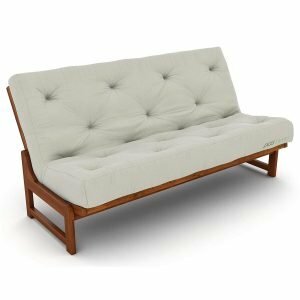 To help you gauge if some of the best futon mattress products is the furniture solution you’ve been looking for, we compiled this informative article. For starters, you need to know there are different types such as the Japanese design (which is specifically made as a bed on the floor that you can easily fold and store) and the Western design. The latter has different stuffing compared to the Japanese type and can be your new bed or sofa. Why so popular as furniture? Because they take up less space and are more comfortable than you think. But that’s not all that makes it valuable, so we compiled easily understandable reviews so you can learn about fabrics, thickness, and weight. Comparing all those with your needs will help you pick the best one. Over the past two months, we asked a group of chiropractors and interior designers to test out our list of products below. Combined, these two groups of experts provided us with a well-rounded view of each futon mattress. Now you can pick your favorite based on practical and aesthetic feedback, contained in the reviews below. Also, use the buyer’s guide to gain some new knowledge before you make your final pick, and our comparison table helps you make a quick decision if necessary. Bed or sofa? Let’s find you yours. 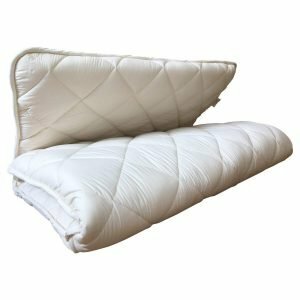 This rates as our best futon mattress for sitting and sleeping because it’s such a great combination of all the features you need in this niche. Want to try it out before you buy a frame? Then do. The design will fit on futon frames, but even on a regular bed, so it’s a solution no matter your current setup. It is a bit on the heavy side, so it’s not the most manageable if you need to move it by yourself. However, it’s one that folds very easily, making it an appropriate option for regular storage. When it’s time to take it out it bounces back to its original thickness quite easily, so if your guests arrive unannounced, now you have a solution—not much preparation necessary. Of course, comfort is a prime consideration and thanks to the thick 8″ design you or your guests won’t be left wanting. On top of a 7-inch coil layer, you’ll find a comfort layer of 1″ of fiber. This combination is the Classic Brands’ magic solution. Your comfort is enhanced by the coil design, so it’s a quality bed for long term use too. This is a dynamic design you can use as a sofa or a bed. After regular use you can simply wipe it down with a cloth to return some luster—maintenance is very low key. In extreme cases, you can consider removing the cover as there is an inner lining. We also appreciate the brand offering both black and brown designs. One of these should match your décor style, although it’s easy to make or purchase a different cover if necessary. An interesting bonus: this futon mattress doesn’t have any odors upon opening it. You can enjoy it straight away with not much airing out necessary. Picking a futon mattress definitely doesn’t mean you’re sacrificing style. This model from Night & Day Furniture is so striking it can serve as a sofa in the most stylish of offices. The blocked design is something different, adding instant flair to the room—much more striking than the tufted and buttoned options found elsewhere. 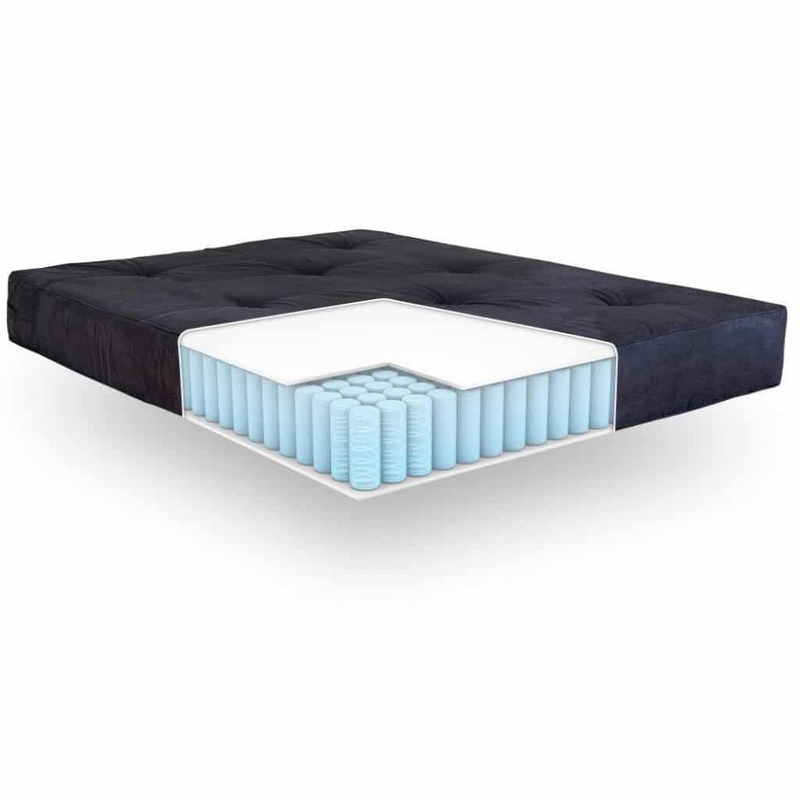 The 8-inch thickness of the mattress is also very much welcome, as unlike some other options on the market, it offers the full thickness advertised, without flattening over time. Having a late night working session? 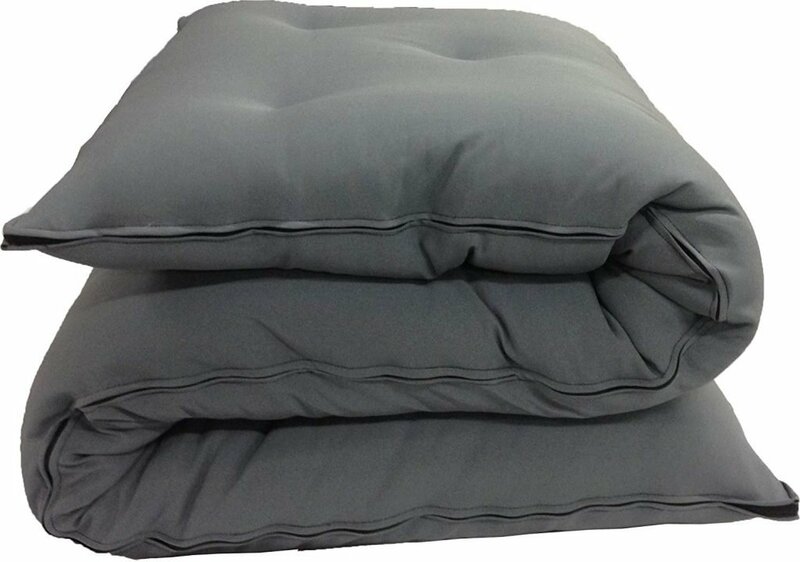 Your futon mattress for couch use will become your most comfortable bed in seconds! This is one of the coiled mattress examples, and this serves you well if you’re looking for great support. It also leads to the brand offering an exceptionally long warranty period – an impressive 5 years – proof you’re looking at a quality product. Granted it’s a bit heavy, but not the heaviest on the market. The exceptional style and practically also justify the higher price tag. The brand settled on a light brown exterior which is practical and should match easily with many décor styles. Of course, adding a cover is easy too. Although it doesn’t fold up very small, you can fold it to place in storage. This is your practical solution in every sense of the word. Let’s start off by noting how light it is. It’s a portable unit anyone will find easy to move around the house or even add to the luggage for a camping trip – bed solutions made easy. Of course, it’s not as thick as some others on our list, but that doesn’t mean discomfort. 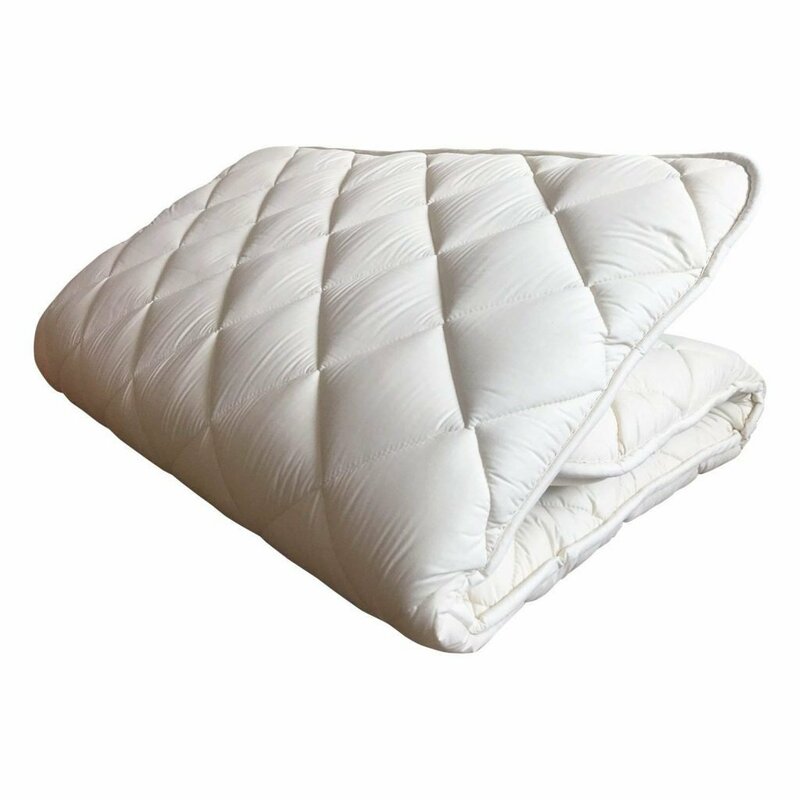 Thanks to a quality cotton design with a polyester filling you’re given a relatively soft bed. While this ensures comfort, know that many users have tried this as a replacement mattress when suffering from back problems. The firmness provides efficient support that could be just what the doctor ordered. One of the best and most practical features, however, is that it’s anti-bacterial and it won’t attract dust mites. That means you can use it for a long time with very little maintenance. 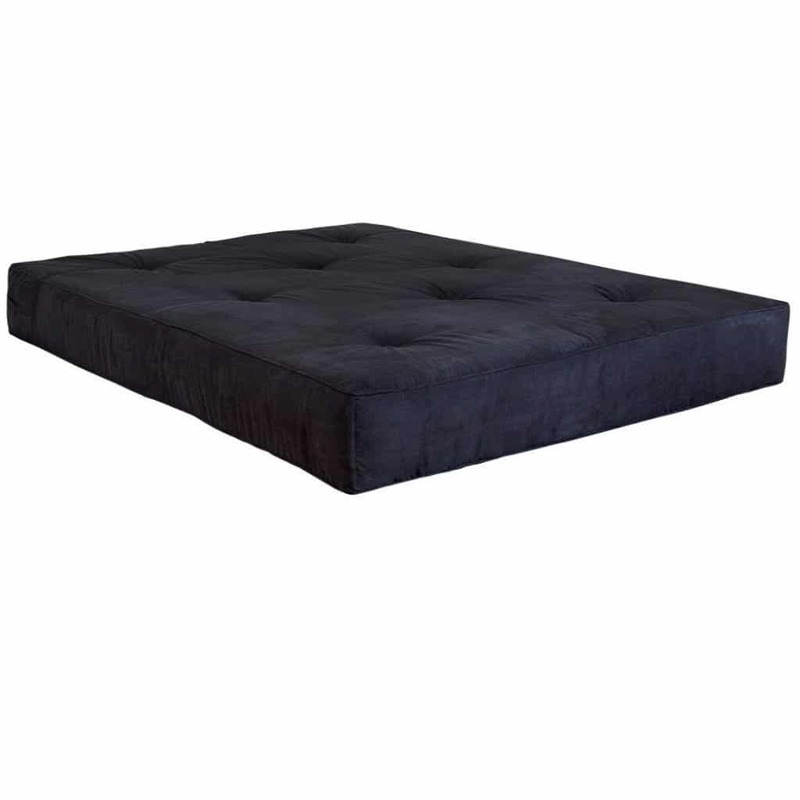 The brand does provide different sized mattresses, so you can pick according to your need. The white exterior suits any theme and looks super stylish. It’s a bit on the pricey side for a mattress that’s not as thick as some others here. However, if the Japanese approach is what you’re after, this is your winner. Some consumers even replace their camping gear with mattresses like these, since they’re light enough to transport easily. Just note it may require a period of getting used to. Also, it might require some fluffing from time to time as it may hollow in the middle. You’re going to love this for the all in one sleeping solution the brand gives you. Not only do you get a comfy mattress but the set includes a pillow and a comforter. It’s a great starter kit if you’re setting up a new home or moving to students’ quarters. Of course, this is one of the more expensive options on this list, but you’re getting a lot for the price. It’s practical in other aspects too as its weight is manageable for easy storage or moving it around the room and house. This is also one of our hygienic options as you won’t have problems with dust mites and bacteria. This is thanks to the brand’s Teijin MIGHTYTOP® II Eco filling. Good news: this one won’t require airing as there’s no odor that needs to disappear. You can use it as soon as it’s unpacked and given time to expand fully. The brand succeeds in giving you comfort as well as support thanks to the three-layer design: two soft layers with a firm polyester pad in between. That makes it an option even if you’re concerned about your back: this one provides more comfort than you expect from such a thin item. Note that this item isn’t washable so we suggest you get a cover you can pop in the washing machine once in a while. There are many reasons to fall in love with this futon mattress but let’s start with the most important: Comfort. This brand uses foam cores and adds layers of cotton padding. That results in a surface you’ll love sleeping on from night one and every night following that. This design doesn’t become lumpy over time, and it won’t sag in some places as some do. Long term investment? Yes! As can also be seen by the exceptionally long warranty period. The firm design also means you can consider this as your futon mattress for sleeping if you have back problems but need an affordable solution. (Just talk to your doctor first). Wolf uses Cottonique which is a combination of cotton and polyester. Apart from this making the cotton bed durable, you’re presented with a lighter, more manageable option than some other designs. Thanks to the practical 8-inch design you’ll find regular sheets work well with this one, so no need to purchase specially-made bedding. The exterior is 100% cotton which can help you keep cool on hot nights. Aesthetics are also impressive as the white exterior looks modern and hygienic. The tuft and box cased design add to the fact that it looks professional & expertly finished. 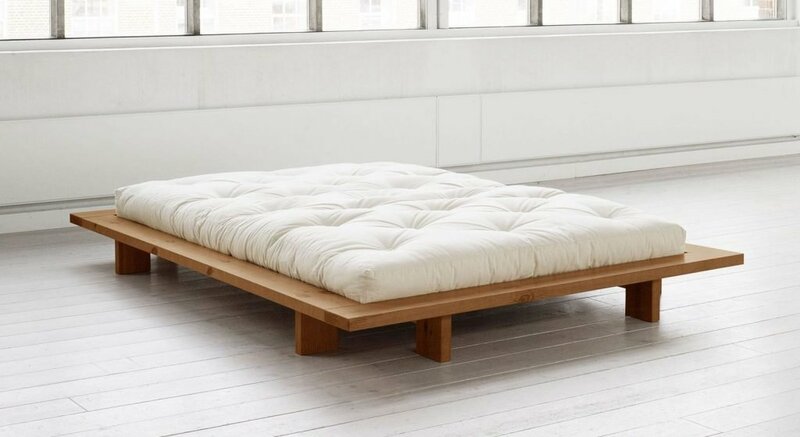 Just note it’s mostly designed with sleeping in mind, not as a sofa, though it can fold if need be. If your budget is small, you can still get yourself a quality futon mattress in the form of this D&D design. The typical Japanese style will instantly add an interesting feel to the room, so you can transform your space without spending much. Note that since it’s a Japanese style futon mattress, the focus is on manageability. You’ll easily be able to move it around, fold it for storage or even load it in the car as it weighs considerably less than many others on our list. 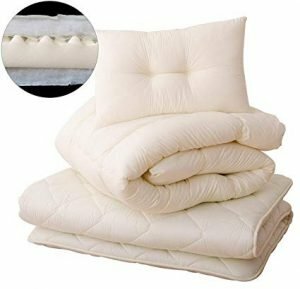 Although you’re buying on a budget you’re still getting quality since the mix of cotton and fibers inside gives you a cool sleeping option, as well as providing you with a lot of support. It will also last you a long time as it’s a durable product. Of course, this one is much thinner than some others on the list, at only 3 inches, but that makes sense as it’s of Japanese style. When you travel with this, you’ll appreciate the compact design. 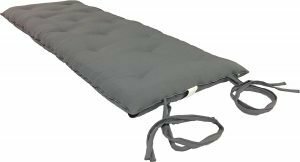 This also makes it possible to take with during activities such as picnics, so you have a comfortable surface for an afternoon nap. Note that there is an odor upon arrival, so make sure you’ll have a few days to air it out before you or a guest sleep on it. It can work as a permanent bed if need be: just fluff it up every few weeks, and it should give you the same support as at the start. The cover is washable, so maintenance is relatively low key. What an excellent combination of style and functionality. This mattress will serve you well as a bed or as a sofa, and the cover is tufted cotton twill: it looks well-made and keeps the interior comfortable. The brand even manufactures different colors so you can match it to your existing décor without needing a cover or sheet. This is one of the few ones on our list that incorporates memory foam into the design. This adds comfort, making it a practical option for long term use and the best memory foam futon mattress here. You can sleep on either side and you’ll have a comfy night. This is one of the thicker ones on our list, so using this with a frame means you’re less likely to feel the frame at night. Safety is also an important consideration, and this one carries a flammability standard 16 CFR 1633 rating. Note that it takes quite a while to expand fully after shipment and the same may be required after being in storage for a while. 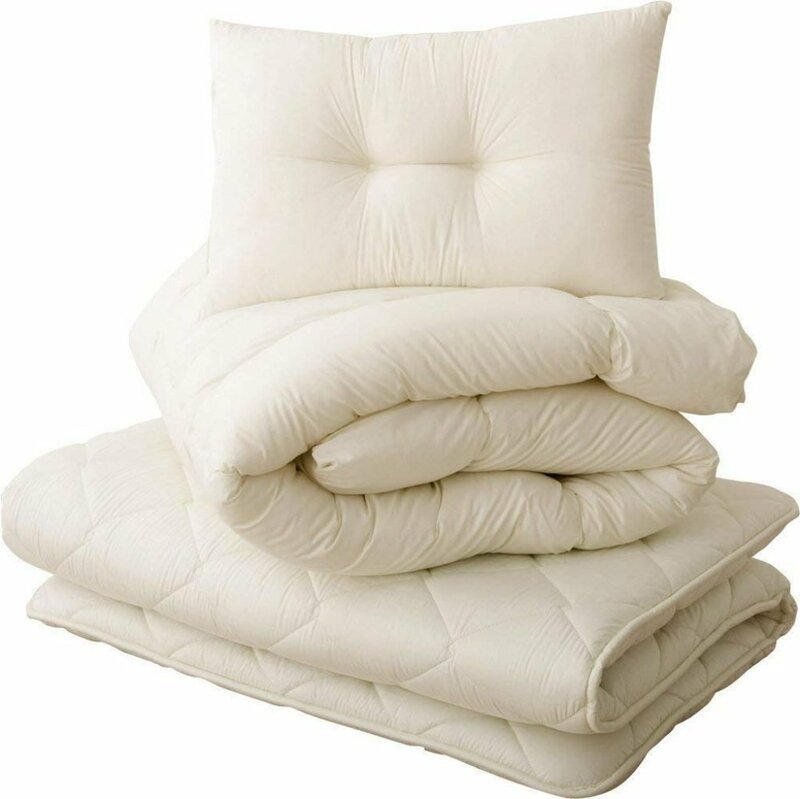 If you’re getting this one for guests, make sure you order well in advance, so it has days to return to Full Loft and for wrinkles to naturally disappear. Time is also needed for the chemical odor to disappear. But after all of that, you’ll have a joy using it. Maintenance is a slight concern as you can’t remove the cover. Of course, adding a sheet or getting a cover is an easy fix. Do you want options? This brand makes sure you get what you need for your home space by offering this design in multiple colors. Pick one that’s a functional color to put on display as the tufted twill exterior is quite stylish—you don’t have to add a sheet if you don’t want to. The tufted design also makes sure you get fewer lumps than with other futon mattresses. The stuffing can’t easily shift around inside. 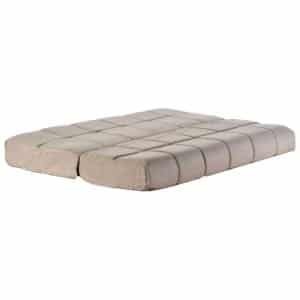 The stuffing is a mix of cotton, foam and more, resulting in a bed that supports you well. 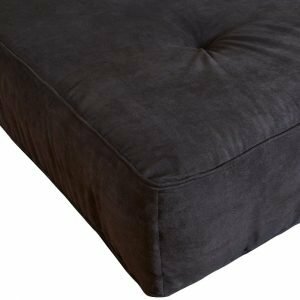 Because it has layers, it supports while also giving you a comfortably soft surface to relax on. For many users, this equates to a medium type regular mattress. Unfortunately, this is another bed you’ll first have to air out as there is a strong odor upon arrival. A great thing about this one is that it usually doesn’t require an adjustment period. In many cases, you’ll feel as comfortable as on your normal mattress from night one. That’s to be expected with this thick mattress though: 10 inches are quite impressive. The brand manufactures its mattresses in various sizes so you can try out others depending on your needs. The Full size will serve as a bed or a sofa easily. Although it’s a large, sturdy unit, it’s still pliable enough that you can move it around the room on your own — a very practical buy. Adding some new décor and furniture to your home is an excellent idea, but you need some insight to make the real ‘right’ decision on which one to invest in. This buyer’s guide acts as an informative, quick reference guide when you start shopping: do it like an expert. A futon mattress is space saving as it’s a much smaller design than a regular mattress. The compact design can help a room seem less cluttered. Thanks to the weight and size you can move it around on your own, instead of asking others to help you change up your space. If you don’t want to lose any floor space, a futon mattress can be stored away completely as long as you have an appropriate cupboard. Many of these units are multi-functional as you can use them as sofas and beds. For some individuals (but please talk to your physician first) sleeping like this is more beneficial for your body and back. 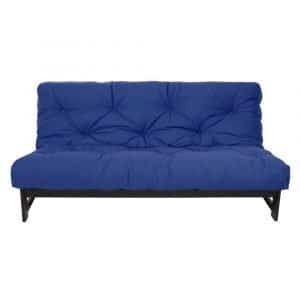 Futons have aesthetic benefits as you can simply add a cover to change the whole look of a room. Covers come in various designs and colors. When it’s time to clean it’s easy to remove the slipcover and pop it in the washing machine. Just make sure yours has a cover, especially if it will be for regular use. 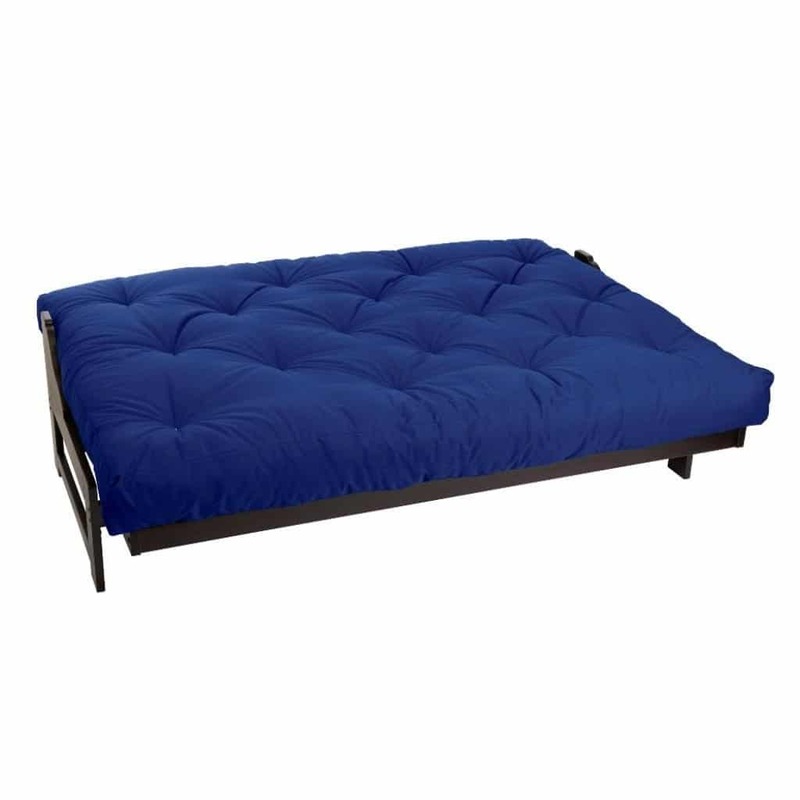 A futon mattress is much more affordable than a regular bed setup. That makes it a budget-friendly option for first time home owners, students or furnishing a spare room. 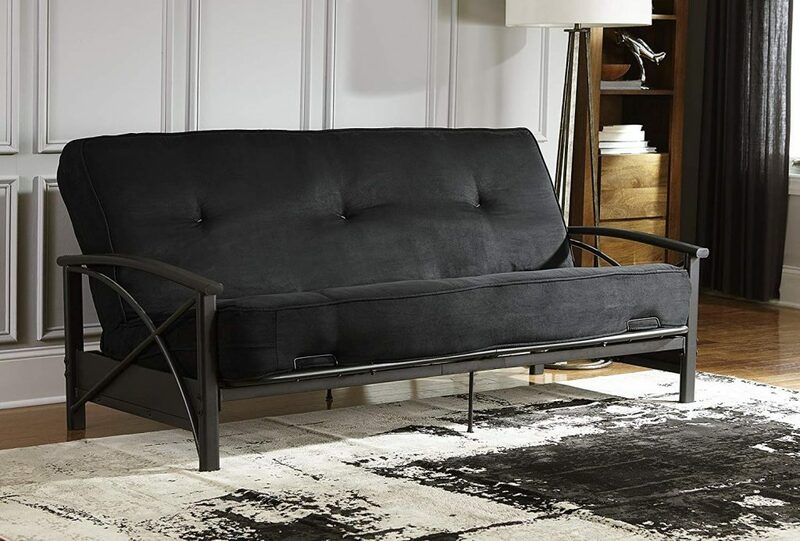 Futons carry elements of style, so you can add a modern flair or Japanese theme to a room with simply one investment. Would you like to enjoy these benefits? 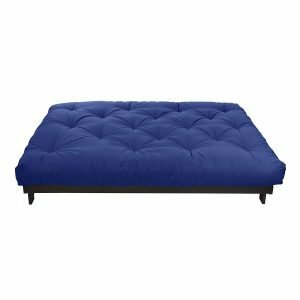 Then make sure you identify the best futon mattress for your space. There’s a reason there are so many designs: people differ. Start by making a list of what you think your priorities are in terms of furniture. Then scan through this list of features and see how a futon mattress will help you achieve your goal. And then it’s time to shop! There is a distinction between Japanese futons and European (also called American) futon mattresses. The first is designed to be folded away after sleeping on it at night, so this is your ideal storage option. 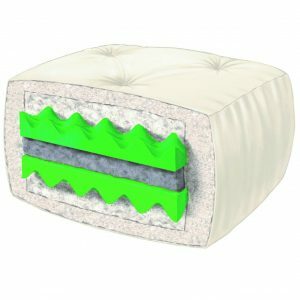 The other category includes mattresses that have different types of fillings and stuffing (see below for more info on this aspect), often making them less portable. This is the type that often doubles as a sofa. Thickness will definitely impact your comfort, the support your body gets but also how much space you need for storage. Between these factors, you need to find a balance. No matter what the situation, we suggest you pick one that’s at least 6 inches thick. This is acceptable, but an even better option is using an 8-inch one. Especially if yours will be used on a daily basis, you need this support if you don’t want to develop aches and pains. Thickness should also be considered based on whether you’re using a frame and what type of frame. To prevent the frame from hurting you, an 8-inch mattress is advisable. However, these dynamics mostly apply to the European designs. 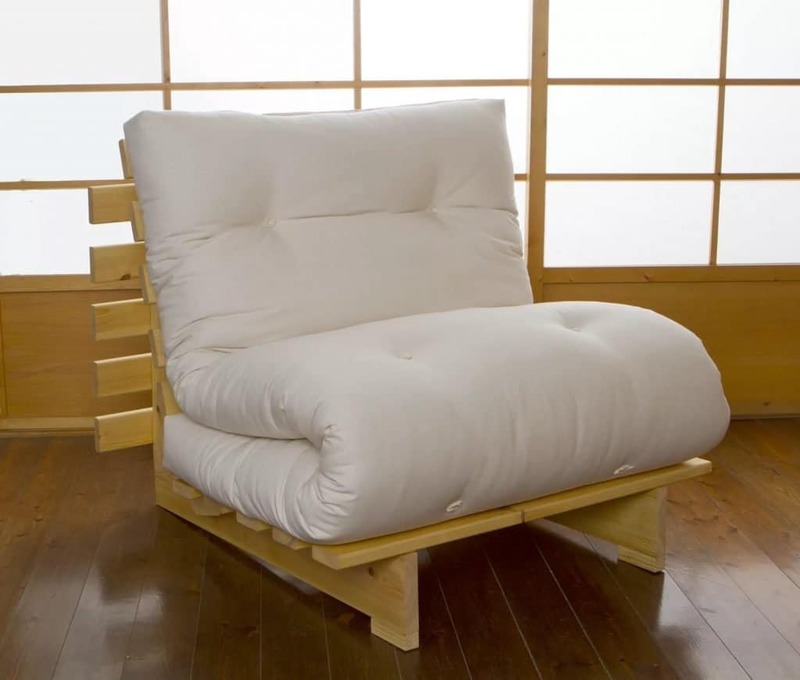 A truly Japanese futon may be closer to 3 inches in thickness, while still providing ample support and comfort. The thin design makes it more portable, space saving during storage and easy to move around the room. Firstly you’ll find mattresses of various sizes, with items such as FULI and EMOOR available in many regular mattress options (Twin, Queen, Full and more). 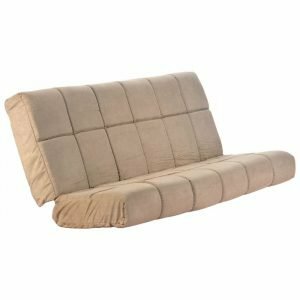 You may even find futon mattresses designed to act as single seat couches, so consider your needs and invest in something you know will be value for money. The brands that use standardized beds’ sizing dimensions as guidelines make it easy to find bedding for your mattress. Before you pick – are you shopping for a mattress for an existing frame? Make sure it fits, or it may feel uncomfortable, slide around at night or look out of place. While manufacturers do consider frame sizes, not all brands adhere to standardized dimensions. Yours may arrive bigger or smaller than expected if you don’t specifically note the details. Note: don’t get confused with packing size vs. the real space you’ll need for your mattress. The mattress will expand when you unpack it, making it more voluminous. Weight is a practical feature: you want something you can handle if you’re going to move your futon mattress around a lot or put it in storage now and then. Therefore, make sure it’s not too heavy. However, if you want real comfort, you have to pick a luxuriously thick unit. This means you may have to lug around more than 50lb. What if you want a traveling mattress? That’s what the Japanese style futon mattresses often are. In this category, you can pick one of 30lb or lighter. Yes, there are super light mattress products available so don’t settle for one that will hinder more than help you enjoy your travels. Of course, depending on your preferences, these may not be as ideal for long term, regular use. Note that we mention your preferences: some people prefer the firmness of these thin mattresses and find them more comfortable than the soft, regular mattresses many of us are used to. This niche in the mattress industry has expanded quite a lot. Today you can take your pick, so your mattress aligns with your application. You should consider your needs and preferences before you buy, so you enjoy the mattress from the start. If you know you easily sleep hot, you should look for a cotton based design, as they’re often the best for keeping you cool. Luckily there are many brands that incorporate cotton into the stuffing as well as the exterior, such as the FULI Japanese futon unit. 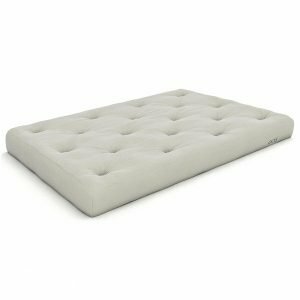 Memory foam is another popular option as it’s known for its comfort, with coiled designs also attracting a lot of attention. These are winning options because of the great support they offer. Futon mattresses that are used on a daily basis must provide enough support if you don’t want to end up with a back problem. The coil design prevents the mattress from wearing out too soon or losing its shape, meaning you get support every night of the week. Other stuffing options include polyester mixes or poly-cotton blends. Brands also develop their own unique products that can fight off bacteria and won’t attract mites. These are excellent options if you want low maintenance solutions. Mattresses can be used on their own or placed on frames (metal or wood) or even used on top of a bed’s base. You can see in our list that warranties usually range between 1 year and 5 years. This is a good indication of the level of quality you’re buying, so use it to vet products during future shopping excursions. A bed should be a long time investment, so making something like the Night & Day Furniture Pocket Coil futon mattress is a wise purchase thanks to its lengthy warranty. Yes, you can go shopping for a futon mattress no matter your budget. The D&D brand provides an industry favorite without forcing you to break the bank. However, you will get more benefits if you’re willing to spend a bit more, and especially a long warranty is an excellent feature to invest in. A washable cover is essential if you want easy maintenance. It will help you protect the exterior as well as clean up easily. 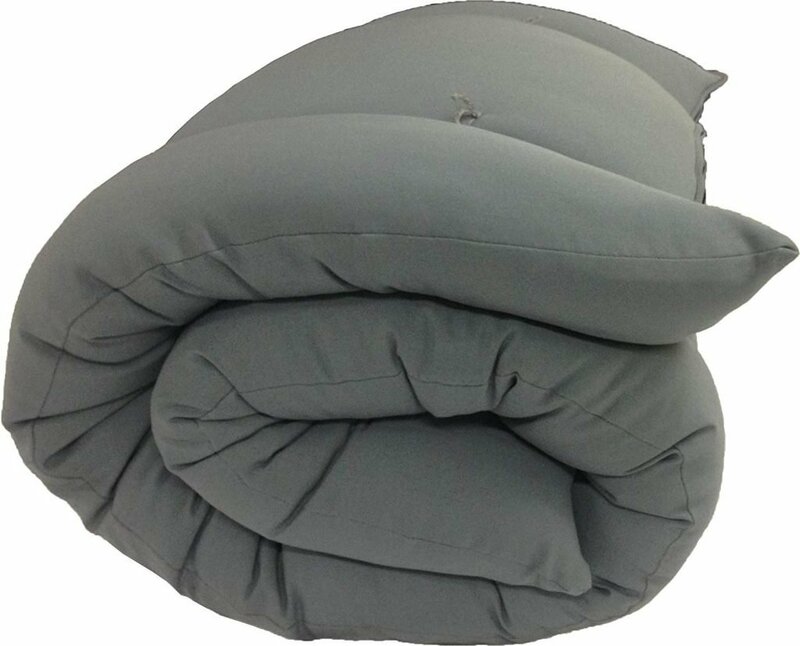 Make or purchase one if your futon’s cover can’t come off. Pick one close to a standard bed’s dimensions for effortless use: your bedding will fit instead of coming loose while you sleep. How long does it take to expand? This is product dependent. Some mattresses will be ready instantly while others require hours to expand. 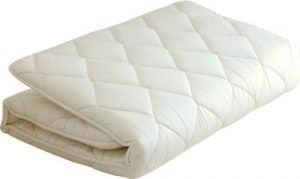 In some cases such as with the Mozaic mattress mentioned above, you need a few days before you’ll enjoy the full extent of how soft and luxurious the mattress can be. Does it provide enough support for a heavy person? 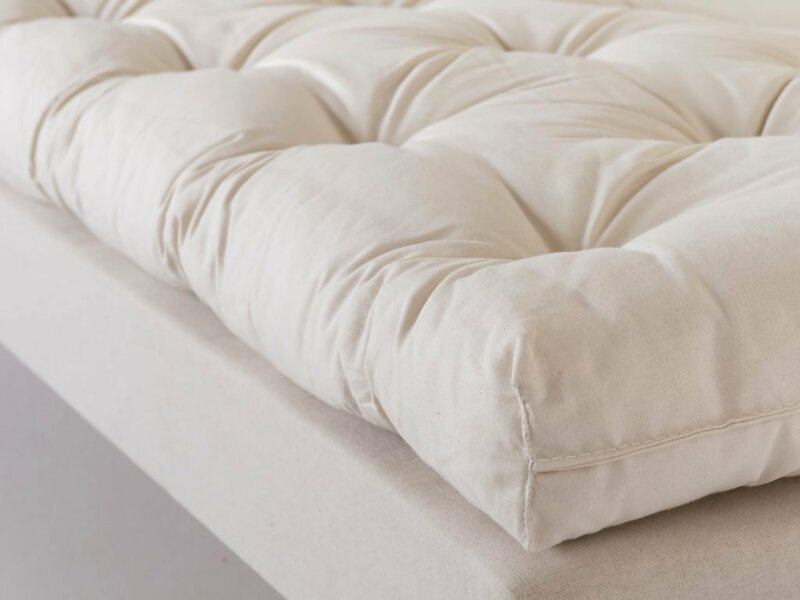 Many consumers marvel at the amount of support they get from futon mattresses—they’re often more comfortable than regular mattresses people use. However, your bed is unique, and you never know how it will respond. 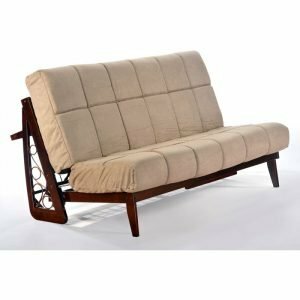 Heavy individuals can try futon options that have firm layers or coils. Without those features, you’re bound to feel the frame or the floor your mattress rests on. Also be prepared to fluff your mattress at regular intervals as you’ll displace some of the stuffing easier than some other consumers. This will depend on the futon mattress you pick. Some, such as the Classic Brands’ model shown above, can be wiped down with a cloth. A smart option is to purchase one with a cover. This means you can quickly clean up by simply slipping it off, doing your laundry and putting it back on. Most odors should be taken care of unless your futon mattress is heavily soiled. If you need to wash your entire mattress, the insides determine your options. In most cases it’s not washable and adding a washable cover is, therefore, a wise option, especially if yours will see regular use. Now, which one will you kit your home out with? 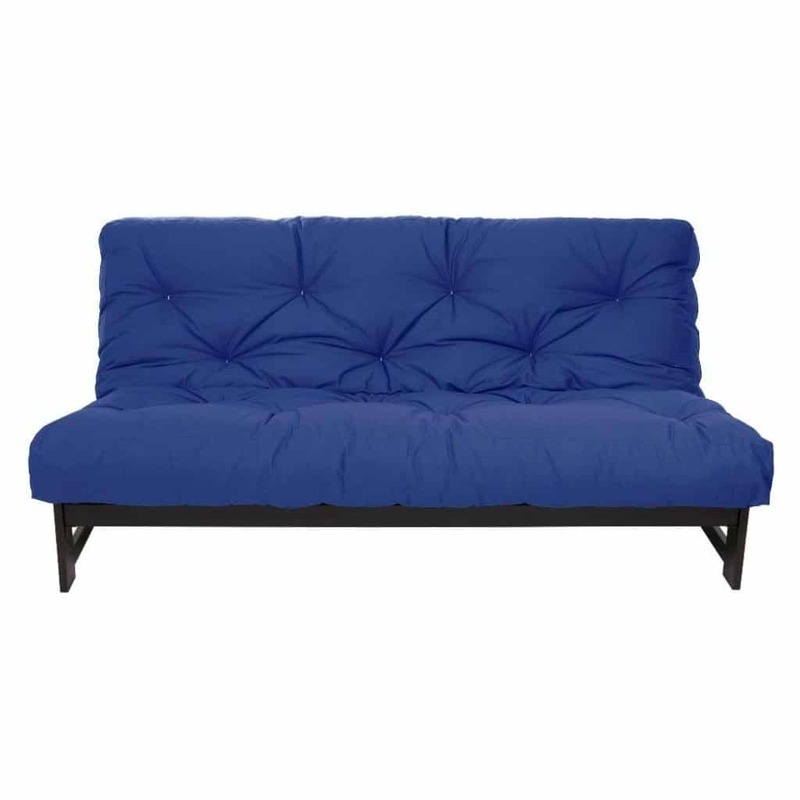 For us, there’s no going wrong with the Classic Brands 8-inch futon. It’s a mix of what’s important in this niche of furniture such as incorporating supportive coils. Because it adjusts to its true size quickly after taking it out, it’s a practical solution in any circumstances. 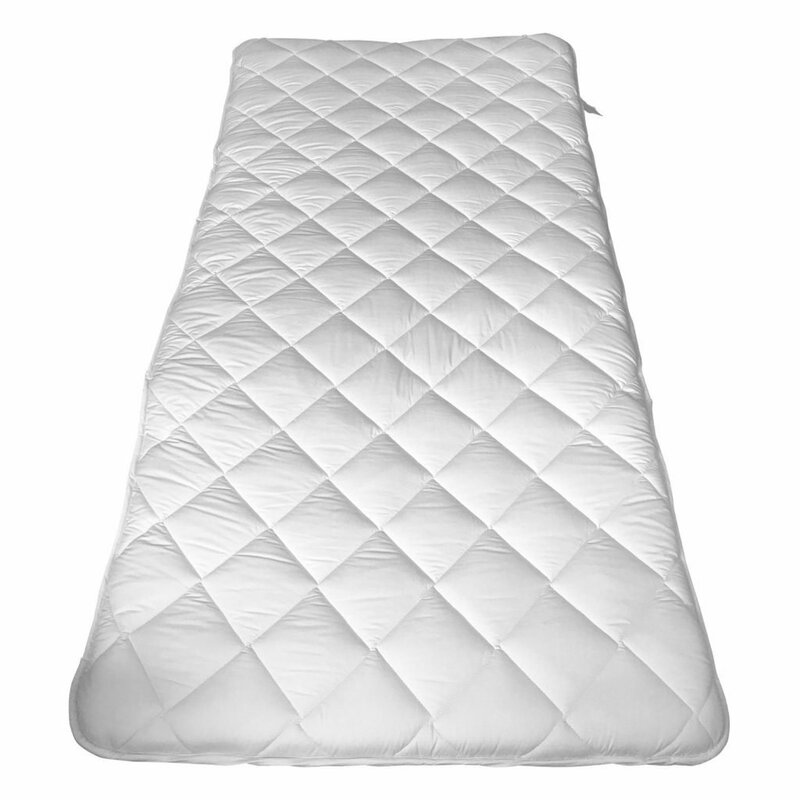 Next up we suggest you have a look at the Night & Day pocket coil mattress. It’s not only that you get great support, but this one looks SO impressive. It works for rooms, offices, and lounges – and that lengthy warranty is enough to make the price worth it. 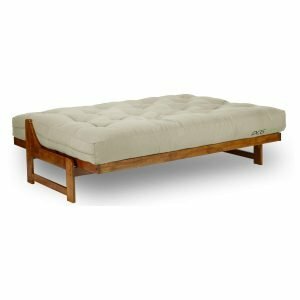 Of course, a Japanese futon may be all you need, in which case we urge you to consider FULI’s unit as one of the best futon mattresses around. The one we reviewed is of such excellent quality, and the portability means you’ll use it more often than you think. Your luxurious futon mattress awaits. On which one will you drift off tonight?